First off, I have to confess something. I have a few outfits to highlight, but I did NOT wear them all in the past week. To have done that would mean that I get out of the house for reasons other than grocery shopping, carpooling or taking a sick baby to the Doctor. Still, I had a few highlights in the past few weeks so I thought I would scrape together a fashion post. OK so here we go! 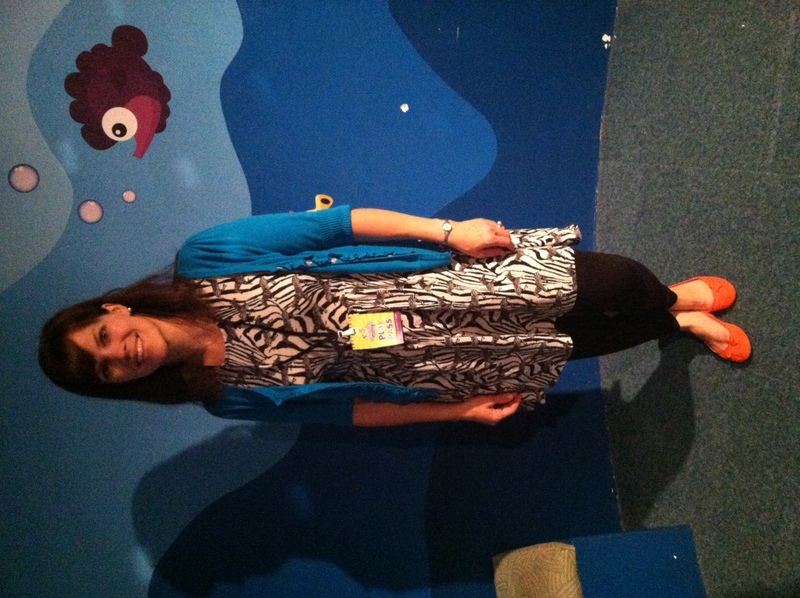 I wore this outfit recently when I attended an event at Marbles. It was so comfortable and colorful! I’m not sure if you can see in the pic but the dress has zebras all over it. Oscar loves it! 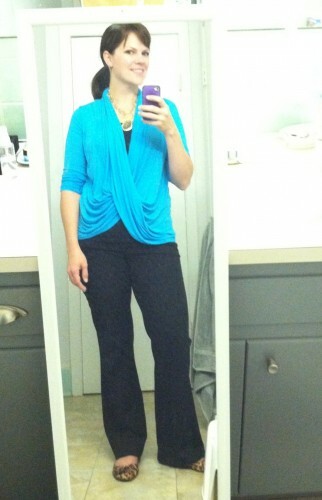 I wore a rendition of this outfit to church on Sunday. The only difference was that I had the belt under my shirt. I think I like it better this way though! I know this picture doesn’t really show what I am wearing, but I had to give you a sneak preview of what I will be wearing at least weekly this fall! 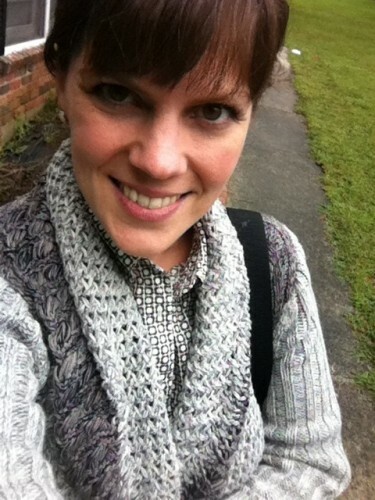 I grabbed this CAbi sweater at an event during BlogHer and the Orla Keily Shirt on another trip to NY. They are two of my favorites and I promise you will see them again! 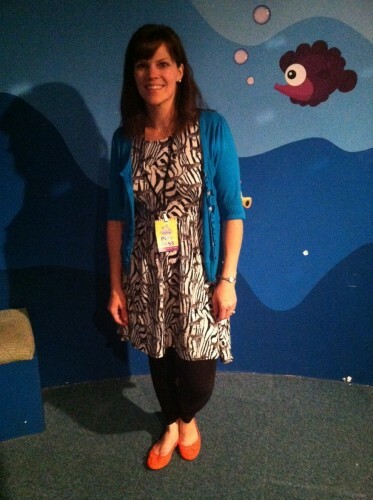 You might remember this outfit from my Disney on the Road recap. 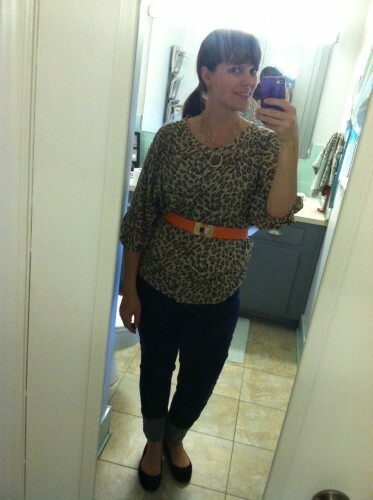 I love the business casual look with the bright top and leopard flat combo. It is super comfortable too. This is the outfit I am wearing right now! I took the boys to meet Jerry for lunch downtown and it’s a warm and sunny day so I had to be sunny too :). The top is forgiving too so I made sure to sneak a few bites of Oscar’s cookie. Good news! I have recently started to work with Francesca’s (eep!) and they are offering all Lilkidthings readers a special discount! Shop online at Francesca’s and get 20% off one regular priced item! Just be sure to enter the code LILKID to get your discount. This offer is good to the end of October so happy shopping! 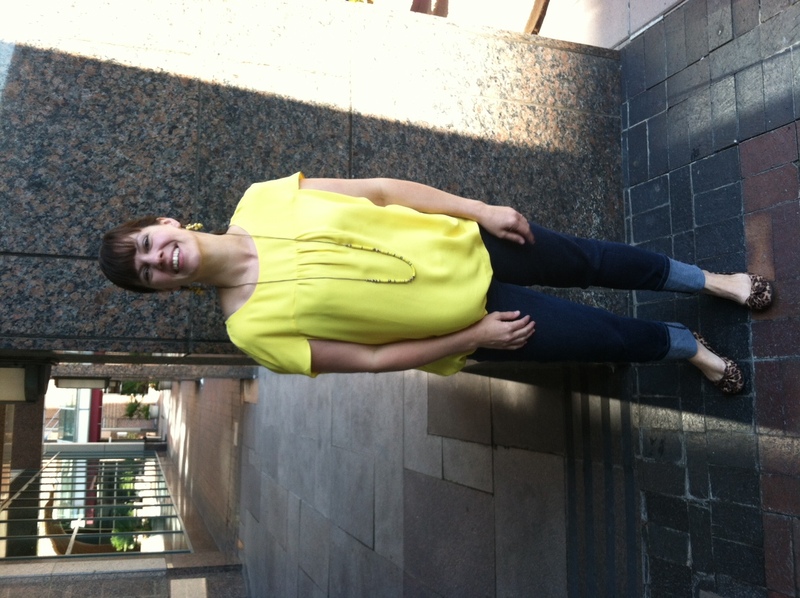 Also linked with Fashion Friday! Disclosure: This post is a mixture of review items and purchases I made. All opinions are my own. GIRL that dress was SEVEN DOLLARZ. I just got it a few weeks ago so they may still have some! 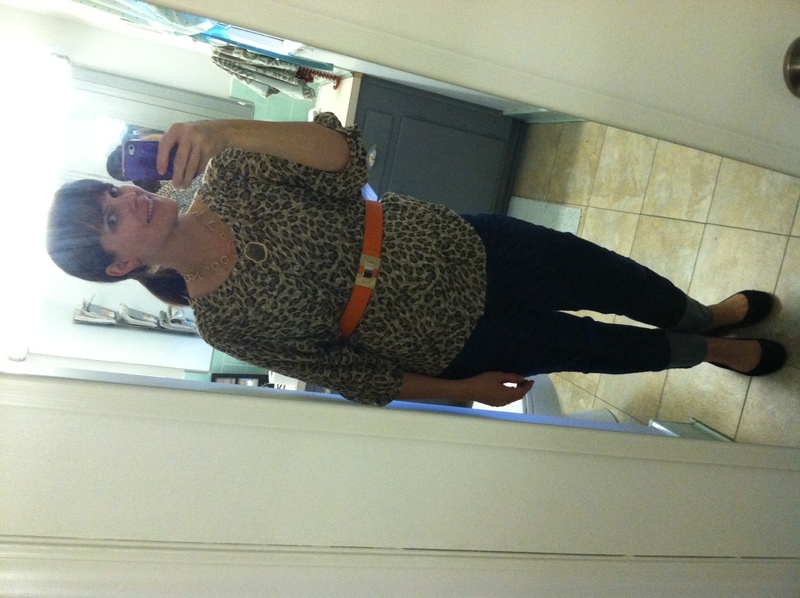 LOVE the orange belt on the animal print blouse. SO CUTE! [WORDPRESS HASHCASH] The comment’s actual post text did not contain your blog url (https://justisafourletterword.com/its-all-about-the-color-what-i-wore) and so is spam. You look so happy in the picture from today. 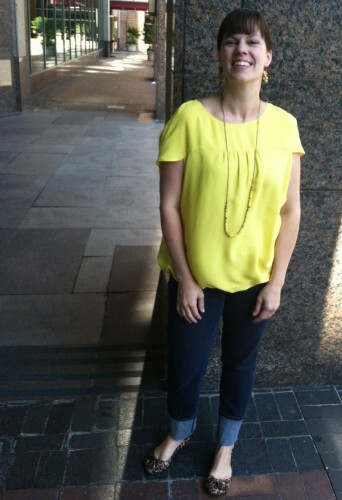 There is something about that yellow shirt, and your big smile that screams happy! 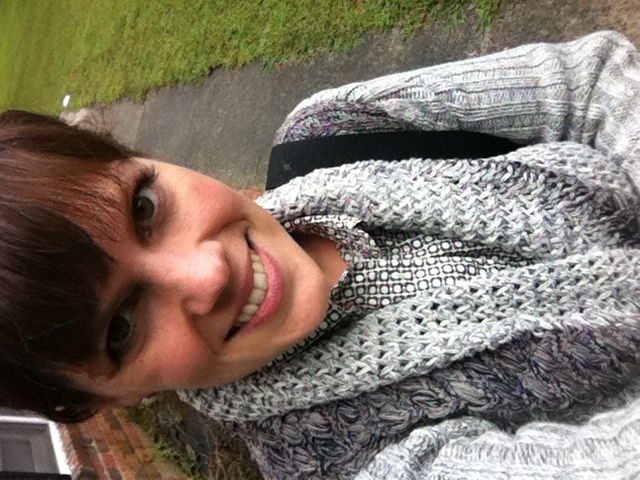 Love the CAbi sweater–so chic. Have a fashionable weekend!